Acupuncture is a painless and effective way to treat a number of conditions. By inserting small, very fine needles (i.e. only the thickness of two human hair strands) at your acupuncture points, it sends signals to the brain to aid in the reduction of pain. Research shows that Acupuncture increases circulation, decreasing inflammation and promotes the release of endorphins, our body’s “natural painkillers” Many people assume acupuncture is a treatment used by practitioners just for pain. It may be true that regular treatment does decrease pain, however, there is a wide range it can treat. Regular acupuncture treatments promotes natural healing and improves overall health. Note: This is not a comprehensive list, but rather a small window into the true possibility of what this treatment protocol can really do. At Nirvana Wellness Centre we perform both Contemporary Acupuncture and Traditional Chinese Medicine (TCM). 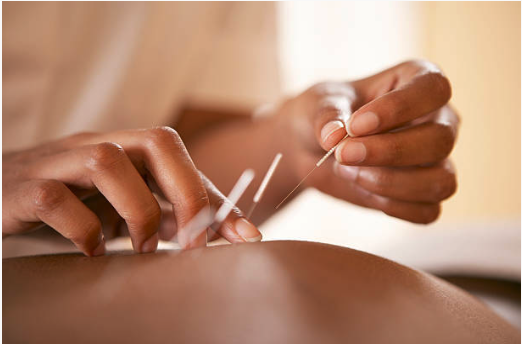 Contemporary Acupuncture is conducted by our Chiropractors and Naturopaths with a focus on musculoskeletal and neurological conditions and disease prevention and TCM- based is performed by our Registered Acupuncturist.